Council members Tamaya Dennard, Greg Landsman, Chris Seelbach, P.G. Sittenfeld and Wendell Young released a statement to the media. "Our position has not changed," the statement said. "We do not support an increased buyout or believe that's responsible to the taxpayers." The group is still calling for a collaborative process and working with all stakeholders on the issues. "We reiterate our call for a ceasefire, and we remain committed to the thoughtful, fair, transparent next steps we have previously laid out," the statement said. "Let's collect the needed facts quickly and calmly." The five Democrats called for the appointment of an outside special counsel chosen by a council majority to investigate the concerns raised by Mayor John Cranley about Black and examine Black's responses. The special counsel would then write a report to submit to city council. 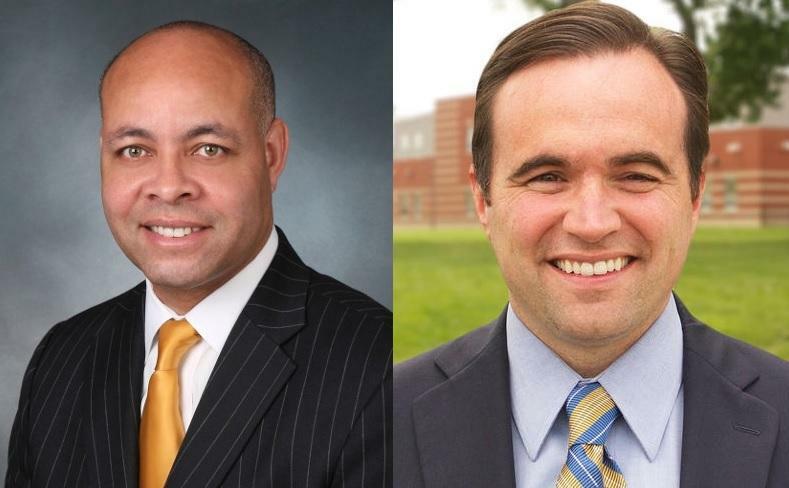 Cranley and Black have a signed agreement for the manager to leave his position. The mayor's office confirms the agreement will provide Black with 18 months of his salary. That would be about $393,000. Black's contract calls for eight months of severance if he's fired by the mayor, and that action would require council's approval. Over the last 3.5 years it has been my pleasure to work collaboratively with Mr. Black in our efforts to stabilize the City’s finances;—including the passage of three structurally balanced budgets and an upgraded credit rating—improve our ability to deliver basics services through the Office of Performance and Data Analytics; and get our roads back to good through infrastructure investments. Assuming Council approves, I wish Mr. Black the best of luck in his future endeavors and I thank him for his service to the City of Cincinnati. Black said in a written statement that the agreement is in the best interest of the city. "I believe it is a fair agreement," Black said. "I am hopeful that all members of City Council will immediately voice their support, so that this very painful week of tumult and chaos for the city – and me personally – can come to an end." The agreement will likely be formally presented to city council during a law and public safety committee meeting Monday morning. WVXU's Howard Wilkinson contributed to this story.